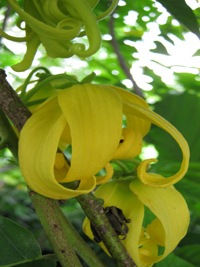 In appearance, the flowers of the Ylang-Ylang are not impressive. 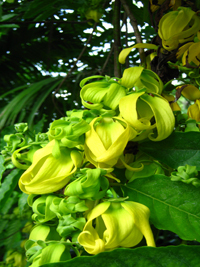 It is its fragrance that makes it such a great tree to have. 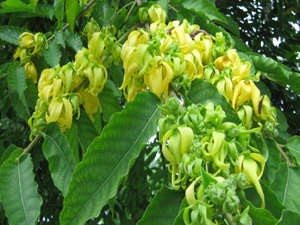 The flowers of this tree are regularly used in the perfume industry and is said to be the key ingredient in Chanel #5. 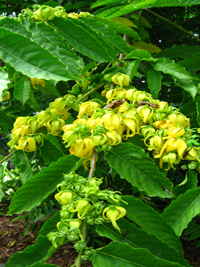 This tropical tree likes the heat and grows and blooms during the warm season. 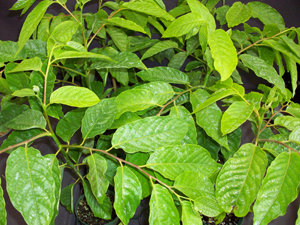 Cananga odorata is a fast grower and will quickly reach a mature size. 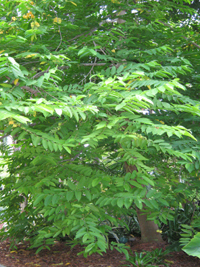 The branches are known to be brittle and break easily so protection from strong winds is recommended. 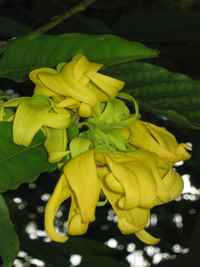 Cananga is a tropical tree, it likes warm weather but it can survive in low temperatures around freezing for short periods of time. 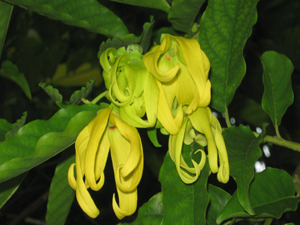 Cananga odorata needs to be mature in order to bloom and that may take anywhere between four to five years from a small plant, depending on the growing conditions. 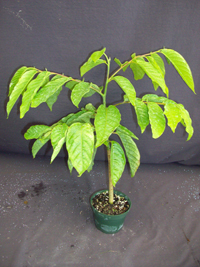 We also carry a smaller form that will suit those with limited space or that do not live in a tropical location. 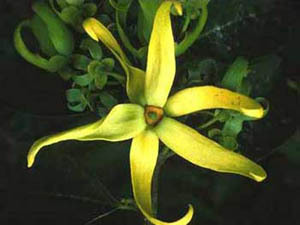 Dwarf Ylang Ylang is rarely offered for sale. Please be sure to be placed on the waiting list if you wish to have one.